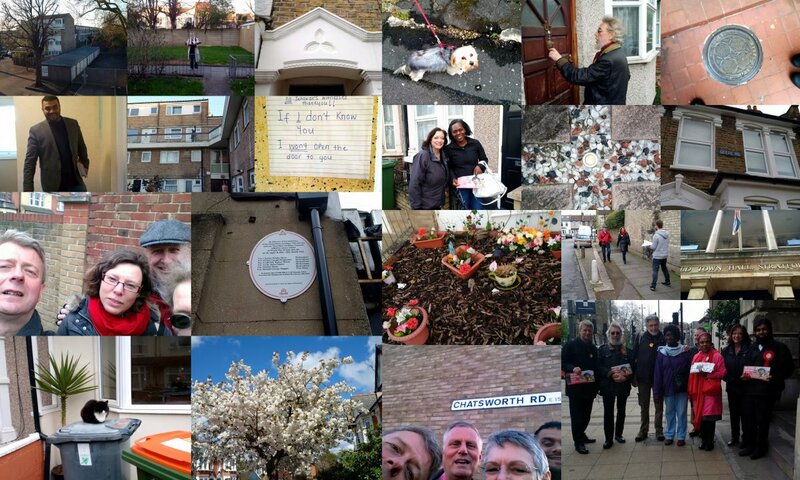 Collage is from my last 3 canvassing sessions in West Ham ward, Stratford and Forest Gate North. Our MP Lyn Brown joined us at Stratford. A positive response for Labour and Sadiq as you might expect but also for remaining in the EU (when we remember to ask the question).